The Caribbean 2019 Sailing Regatta season is nearly here and Captain Arran and rest of his pro sailing team of Andy, Pete, Kyle and Ryan are busy doing the final preparations and shake down trials of our Farr 65, Spirit of Juno. Juno is very competitive with a first in class in the Antigua and Barbados regattas in 2018 and has already started the 2018/19 season strongly winning line honours in the Nelson’s Pursuit Race on New Year’s Eve. The exciting news this season is she is stripped down and has new racing 3Di’s North sails. Spirit of Juno Farr 65 and our match fleet of Beneteau First 40.7’s makes for thrilling and competitive, high-performance yacht racing in crystal clear waters with consistent warm trade winds. If you haven’t succumbed to the pull yet let us help you decide. The main regatta event racing starts Fri-Sun – three days of highly competitive racing in what are usually strong breezes. You can sail in all of the most prestigious sailing events in the 2019 Caribbean Regatta Calendar with Ondeck including Barbados Race Week, Grenada Sailing Week, RORC Caribbean 600, St Maarten Heineken Regatta, St Thomas International ,BVI Spring Regatta, Bequia Spring Regatta, Les Voiles de St Barth, Antigua Classic Yacht Regatta and of course Antigua Sailing Week 2019. We also have places at some of the smaller fun events such as the Round the Island Antigua. We offer individual places on our Farr 65, Spirit of Juno, and on our Beneteau 40.7’s and we encourage first time racers to come on board. Most of our race packages include 1 training day with the option of taking part in deliveries from and back to Antigua where applicable and building some miles. Ondeck Antigue Cell + 1 268 720 5313 Antigua office +1 268 562 6696If you have any questions, just EMAIL pa@ondecksailing.com or call the Antigua office. None of the major regattas have been cancelled and all have announced a normal programme of racing and events so starting with Mountgay Barbados in January and finishing with Antigua Sailing Week in May we will be racing at all of the regattas this season. Spirit of Juno is our ‘head boat’ so prospective racers can join as individuals or small groups and offers positions for the experienced and inexperienced She had a good 2017 with new race sails and podium positions at many regattas. 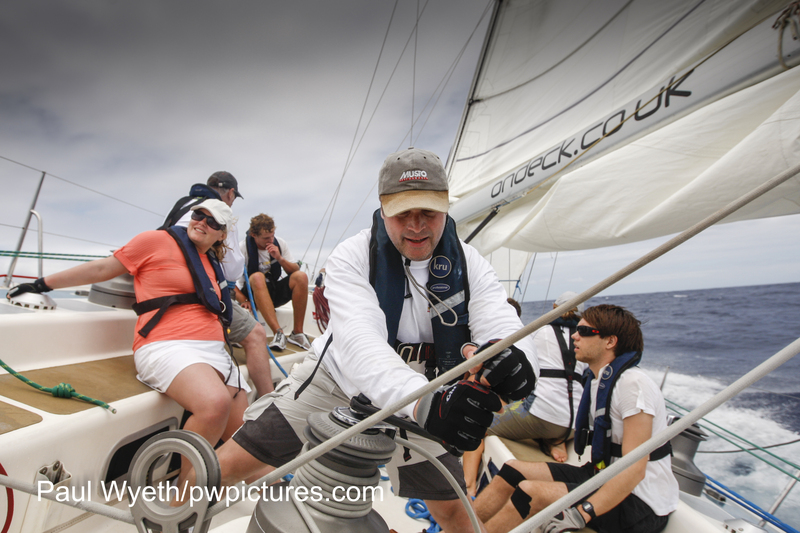 Joining Juno is a great way to learn the ‘racing ropes’ as well as experience the social side of many beautiful islands with mixed and very international teams. A great shot yesterday of the beginning of the Caribbean RORC 600! Again wishing the best of luck to all the boats participating in the Caribbean RORC 600, and the fleet tracking map is on show upstairs at the AYC Marina in the Ondeck office if you want to come by and watch the incredible progress of these boats!